Go with your eyes closed and let this film open you up completely! Adapted from the Persian narrative poem- Layla and Majnun, this film is presented by Imtiaz Ali and produced by Ekta Kapoor and Preety Ali, starring Avinash Tiwari and Tripti Damri in lead. Laila Majnu is directed by Sajid Ali, while written by Imtiaz and Sajid. Film is based in Kashmir. How a girl named Laila (Tripti), a typical flirt and filmy girl, finds her love interest in a rich-spoiled man Qais, is the startup of the film. But there is an issue regarding their fathers, so the marriage seems to be impossible. What will happen next in their lives that leads them in to the state of Laila-Majnu, is the thing to look out for. 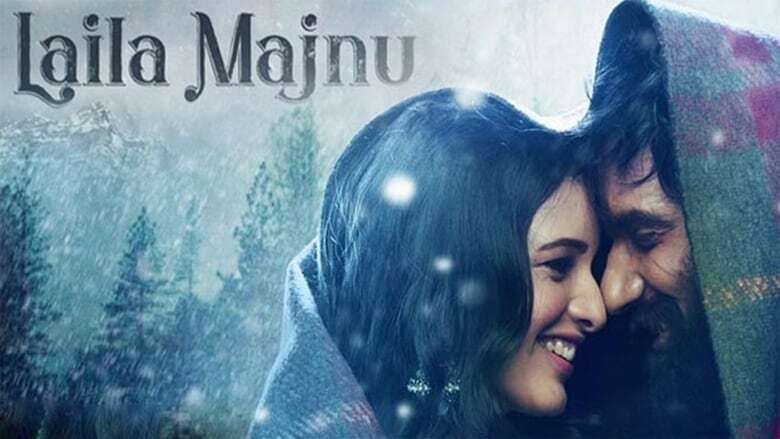 Imtiaz Ali said in his interview that the music in Laila Majnu film should not have to be average, or below averag. Despite having unknown names in music credit, we are having one of the best albums of this year. Niladri Kumar and Joi Barua have given absolutely pure music which fits perfectly into the story as well as in Kashmir. Not only that, but the lyrics have been penned by Irshad Kamil. Thus, songs are literally talking to us so much while in the film, (or even after the movie, too!) and make us fall in love with the story. All songs are incredible. Ahista is the one song I will remember for giving me one of the strongest goosebumps ever. Laila, Tu, Sarphiri - all are fantastic. While in Hafiz song, the memory of Sadda Haq pops up in the mind. In fact, there are many portions when we went to that stages which we had seen in Imtiaz Ali's films. And somehow I know why! Because, the transition is important in every film of Ali. While, here we are seeing possibly the biggest transition a man can have, like Qais to Majnu. This is where the film goes beyond the expectations, beyond the reach of our mental state, beyond all the boundaries. And it becomes the must see film. But only for those who believe in Imtiaz and his stories, or in poetic explanations, or in purity which love brings. Laila a.k.a. Tripti is beautiful, adorable and truthful to her lover as well as her father. Though both are newcomers, the story and performance is such that we can feel for them. I found Avinash as Qais like average. But when he returned in the second half as Majnu is mind blowing. Every reviewer has mentioned about him and his performance. Because, he has done his part brilliantly. The complexity of Majnu has been implanted magically. Namaaz scene in that portion speaks a lot. Whole review can be written on that scene only, because it says a lot. Add one more plus point, which I completely forgot was the beautiful Kashmir. There are many scenes, but don't miss the first scene after interval. Magic is awaiting for you in theaters. Kudos to Sajid Ali. Actually, the first half was not so great. It was just good. The things happening there which eventually lead the film to its most dramatic exploitation, were not to be missed. It looks like that there is nothing, but when the story strikes you, you feel for every bit of the film. If you are going for this one, go with open mindset. Close your eyes before the film, and let the film open your eyes as well as you completely. It will become your most valuable experience. I don't care about box-office numbers. Even the makers of this film do not care, too. Art can never be perfect, that too in its purest form. This film is a pure art which makes it an imperfect one. If it is perfect, it can't be true love. Feel the madness of true love. Mohit Chauhan is here to bring out the madness in you with Hafiz Hafiz!